﻿Wendy Robin is a vibrant and electrifying performer. 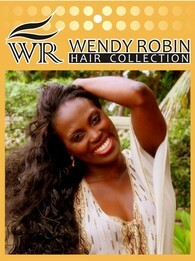 Wendy's career as a singer and entertainer began in her native country of Dominica.Wendy later joined super group Steady Vibes in Toronto,Canada where she became a resident.The young group made two recordings which received significant airplay in Dominica and other Eastern Caribbean Islands.They also performed in New York, Montreal,Toronto and the Caribbean. 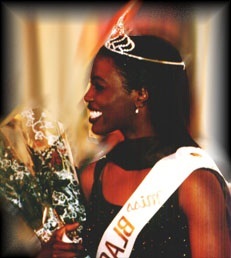 Wendy continued singing,attended University studying Biochemistry and also won two beauty pageants: Miss Dominica Ontario and Miss Black Ontario. These pageants along with Wendy's continued solo performances were part of her coming out in her entertainment career. Wendy pursued her goals of doing a bit of modeling,but her heart was always in the music industry. Wendy later recorded her first dance track a single "Ain't Nobody" on a label she helped to establish: WR Records. Wendy later performed in South East Asia ( Hong Kong ,Singapore, Thailand ,Indonesia, Macau) for more than 5 years and brought on some electrifying performances to audiences in The Grand Hyatt's,Mandarins and Le Meridien all 5 Star Hotels.Wendy have also performed for huge audiences of more than 100,000 people in Toronto at the Caribana and street events and her native country .Wendy always mixes her amazing vocals with high energy performances. She performed in most of the Canadian provinces as well as New York,Miami,Chicago,New Jersey,Connecticut just to name a few cities in the USA. Wendy Robin has been featured on the front cover of the Richmond Hill Liberal Newspaper and was a story feature in Ambassador Magazine and again in the Richmond Hill Liberal. Wendy has received coverage in a number of other news publications and has been a Sunshine Girl three times. She was featured in Zebra calendar which is circulated worldwide, and has also been featured in a Most Beautiful Black Woman magazine, popular on the North American university circuit. Wendy Robin performed along side some of the most well known names in music including Percy Sledge(When A Man Loves a Woman) , The Temptations (My Girl,just My Imagination,Papa Was a Rolling Stone)...etc... Wendy later turned her travel experiences into a business opportunity through Wendy Robin Hair Collection a business partnership with her husband Ivan Ramljak, who is also part of her music management team. Wendy Robin later released her CD "COLOURS OF THE SEA" in Hong Kong to rave reviews.Wendy's CD release event was quite a success with many of her fans,media and record execs in attendance.This CD is very personal to Wendy who can now add songwriting to her abilities. Wendy 's Motto is to make sure her audiences shout and react to every song being performed and in doing so she always try to put on a show and add a different flavor whenever she and her band hits the stage. Wendy Robin bring the same energy to her performance whether she is performing for 20 people or 20,000. Wendy's first European tour began on Friday 2nd,December 2011 in Zagreb,Croatia.She continued to perform her latest tracks in Europe. Recording artist Wendy Robin finished "Go Down Low" with Croatian super producer Sven and her remake of "Welcome to Hong Kong-Dance Mix" feat Jerald .The reviews were fantastic and the momentum continued building.Wendy kick started her promotion of her new recordings in Zagreb,Croatia.Recording artist Wendy worked with a great team of promoters,managers,Studios around the world(Canada,USA,Hong Kong and Croatia) personal trainer and photographers to bring her best product to the table.Along with other club favorites "Can't Get Enough of Your Love" and "Life of The Party" Wendy promised to put on some amazing performances in Europe starting of in Zagreb, Croatia and she did not fail. Recording artist Wendy Robin returned to the exciting city of Hong Kong performing again She worked with her 6 member band Wendy Robin and Band Tuesday to Thursday from 10.00pm till 12.24am and Friday and Saturday from 9:00pm till 1:45 am. The response was incredible as usual. After finishing her stint in Hong Kong in 2014 Wendy return to the Caribbean for some well deserved rest. But because resting is not in her DNA Wendy set up a volunteer group to help improve her community and got involved with farming and teaching kids music. Wendy later returned to Toronto ,Canada where it all started,reformed her band and kept on performing. Wendy is currently working with a variety of producers and song writers to bring out some more amazing original music.